We’re a husband and wife team of acupuncturists, healers and teachers here to support you on your journey to wellness. Salvador Cefalu, M.S., L.Ac. is Founder & Co-Director of A Center for Natural Healing. A practitioner in the healing arts for the past 30 years, Salvador received his M.S. in Traditional Oriental Medicine from Meiji College in San Francisco in 1994. 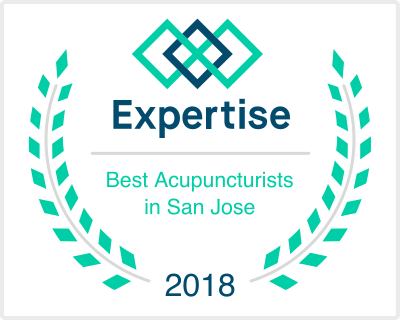 As a student of 88th generation Daoist Grand Master, Dr. Jeffrey Yuen, since 1998, Salvador also specializes in Classical Chinese Acupuncture and integrates the use of herbal medicine, Essential Oils and gemstone therapy. Setareh Moafi, Ph.D., L.Ac. is Co-Director of A Center for Natural Healing and has been a certified Yoga instructor for over 17 years. In 2003, she transitioned from co-founder of Yoga of Los Altos, the first yoga studio in Los Altos, CA, to a personal healing journey that initiated her studies in Chinese Medicine. Dr. Moafi has a B.A. from UC Berkeley, an M.S. in Traditional Chinese Medicine from Five Branches University, and a Ph.D. in Classical Chinese Medicine from American University of Complementary Medicine with 88th generation Daoist Grand Master, Dr. Jeffrey Yuen. Dr. Moafi interweaves her extensive experience in both Chinese Medicine and Yoga through the Yin Yoga Integration & Teacher Training program which she developed in 2018, as well at the Mind Body Zone Yoga teacher training program in Fremont, CA for which she’s been faculty since its inception in 2009. A gentle, intuitive healer, Dr. Moafi integrates classical approaches to Yoga and Chinese Medicine to offer an empowering path to wellness. Learn more at www.setarehmoafi.com. Sign up to receive your FREE 5 Step Guide to Fatigue Relief. Thank you! We're so excited to welcome you to our community! Check your inbox for a confirmation email and to start your 5 Steps to Fatigue Relief. We look forward to connecting with you!